This paper presents a novel concurrent optimal trajectory planning method for a team of quadrotors to switch between various formation patterns in the confined indoor environment. Using static shape-based, dynamic trajectory-based approaches, different formation patterns of quadrotors can be optimally and rapidly arranged and localized. The modified algorithm of optimal reciprocal collision avoidance (ORCA) is applied to produce the nominal collision-free trajectories for the quadrotor team as the first stage, which is extended to three-dimensional space and the downwash effect induced by the propellers is effectively addressed. Considering the flatness property of the quadrotor dynamics, the jerk-optimized trajectories based on the cubic clamped B-spline are then generated and these corresponding constraints are also satisfied. Moreover, a robust perfect tracking (RPT) outer-loop controller is designed to compensate the poor resolution of the indoor localization system. Finally, simulations are conducted to verify these proposed algorithms, and the real-world flight result was successfully showcased at the opening ceremony of Rotorcraft Asia & Unmanned Systems Asia 2017. Foundation items: National Natural Science Foundation of China (61673327), China Scholarship Council (201606310153) and Aviation Science Foundation of China (20160168001). This work was supported by National Natural Science Foundation of China [grant number 61673327], China Scholarship Council [grant number 201606310153], as well as Aviation Science Foundation of China [grant number 20160168001]. 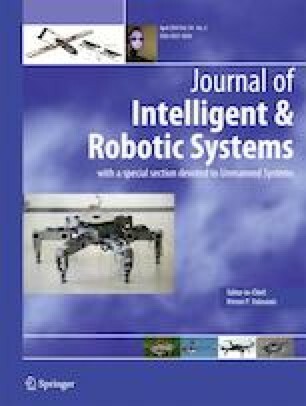 The authors would like to thank Prof. Ben M. Chen and his Unmanned System Research Group at National University of Singapore.